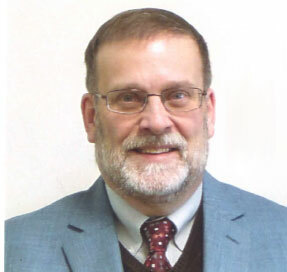 Dr. Michael Thayer is a licensed psychologist, school psychologist and a Certified Infant Toddler Developmental Specialist who has been serving children and families for over 25 years. He received his Ed.D. in Counseling Psychology from Argosy University-Sarasota, his M.Ed. in Educational Psychology and Certificate in School Psychology from Edinboro University of PA and his B.S. in Mental Health Counseling from Gannon University. Dr. Thayer also acquired additional certification as a Behavioral Management Specialist as part of his professional development. Throughout his career, Dr. Thayer has offered clinical services (in both private practice and a variety of mental health settings) that provide diagnostic assessments, treatment planning and therapies for infant-toddlers, children, adolescents and families. In addition, Dr. Thayer spent several months at the Princess Margaret Hospital for Children in Perth, Western Australia where he served on a comprehensive treatment team that provided diagnostic and counseling services to children and families. Dr. Thayer previously held a position as a full-time school psychologist in a school district serving grades K-12. He was a psychological consultant for other schools as well. In his capacity as an adjunct faculty member at the university level, Dr. Thayer has taught both graduate face to face classes and online courses in the fields of counseling and school psychology. In addition, he served as a field supervisor and mentored graduate interns with a caring and individual approach. Dr. Thayer’s areas of interests and specialty focus on working with parents and families of infants, toddlers, and preschool children with varied developmental and learning difficulties. Dr. Thayer also does clinical work with children and adolescents who present with a variety of concerns including ADHD, Bipolar, Anxiety, Depression, Self Esteem, Learning difficulties and behavioral challenges. In his clinical practice, Dr. Thayer utilizes a systematic eclectic view, with a prescriptive approach. His treatment is grounded in a person centered model with a profound respect for individuality, diversity of life experiences and a focused interest in listening to the wisdom of the client.